Hosting webinars is an important part of running an online coaching business. 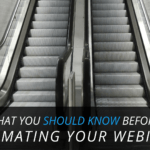 When you’re connecting with customers and clients through the webinars you’re running, you want to ensure you’re using the right platform. However, with dozens of options on the market, choosing the right platform can feel overwhelming. So let’s take a look at a few of the best webinar options for coaches. Every coach will have different needs when it comes to what they’re looking for out of a webinar platform. However, there are a few main points each coach will want to check when selecting the platform that works for them. Integrations: Integrating your webinar platform with other tools you use can streamline your processes and help you get more from your webinars. Being able to integrate with lead generation sites, CRMs, and other tools can make your workflows more efficient. Audio/Video Quality: When running a webinar, you want to be sure your participants can clearly hear and see you, regardless of how many people are in attendance. High audio and video quality improves the experience for participants. Ease of Use: The easier the platform is to use for both you and your attendees, the better the experience you both will have. When selecting a webinar platform, you want to be sure it is simple for everyone involved. Engagement: You always want a webinar to be a place where everyone can engage, ask questions, and truly feel like they’re a part of the learning process. When selecting a webinar platform, you want to ensure there are ways for attendees to engage with you and each other if appropriate. WebinarJam is a popular webinar platform for coaches. With dozens of integrations with other popular tools and apps, such as ConvertKit and LeadPages, WebinarJam allows you to stay in touch with attendees before, during, and after your main event. WebinarJam also allows you to stream through Facebook Live or YouTube Live. WebinarJam provides easy engagement and interaction with attendees, including offering live polls, a virtual whiteboard, and branded pages. You can become a WebinarJam user with a one-time payment of $479/year, or pay $189 for three months for a yearly subscription. GoToWebinar is another solid platform for live webinars. While GoToWebinar is a trusted platform for many brands, it does have fewer features and more restrictions than WebinarJam. However, if you’re a small brand or you’re looking to host smaller webinars, these restrictions may not influence your coaching. GoToWebinar provides custom landing pages, email notifications, and easy ways for your audience members to engage. Pricing for GoToWebinar begins at $89/month for the “Starter” package. Zoom’s sole purpose isn’t to host webinars. As a video conferencing tool that features webinar services, Zoom can be a multi-use tool for your coaching business. You can integrate Zoom with Microsoft Teams, Office 365, and more. While there is a free version of Zoom just for meetings with a 40-minute limit. To run webinars with Zoom you will need a paid plan within the webinar feature addon. The tools above are great for live events but if your main focus is automated webinars, here are the three best platforms to consider. StealthSeminar may not have the best branding, but they are still a solid option for coaches looking to program automated webinars. Within StealthSeminar, you can integrate your CRM and email system to properly manage attendees and connect with them before or after an event. With StealthSeminar, you pay by capacity. While you have unlimited events per month, the Starter package limits you to 150 people per event for $69.95/month. The highest plan allows for 4,000 people per month for a $1,250 monthly fee. EverWebinar is an automated tool that helps your webinars feel like they’re live. You can set your footage to play at specific times, increasing engagement and helping your attendees make a genuine connection with your brand. However, compared to StealthSeminar, there are fewer features. EverWebinar is $497 for a year membership. With this membership, you can integrate EverWebinar with MailChimp, ActiveCampaign, and GetResponse to ensure your email subscribers are aware of upcoming events or webinars. ClickFunnels is another great option for automated webinars, especially if you’re looking for a basic platform that is also cost efficient. While ClickFunnels focuses on more than just your webinars, it allows you to streamline your sales funnels to make stronger connections with your audience. ClickFunnels begins their pricing at $97/month for their basic sales funnel builder tool. You can upgrade to the Etison Suite for $297/month, which gives you access to additional features. Each of these tools can help you create better webinars for your coaching business. However, when considering which is right for you, you’ll want to consider the unique needs of your target audience and your webinars. Once you’ve determined the right platform for your coaching business, let Automation Agency do the rest. If you’re using one of our supported webinar platforms, we can help you set up your webinar and make any updates you need in the future. Just submit a task and we’ll get started.